Great “new” (OLD) quote on the atonement debate. My friend Tony Byrne over at the THEOLOGICAL MEDITATIONS blog posted a wonderful and useful quote today. It’s worth your time. CLICK HERE! or on the image, or the link in the blog name. No doubt, someone will find my having links to something by Tony and James White side-by-side ironic. But, I’ve got brothers I love everywhere in Christ’s family. Dominic Bnonn Tennant on “universal” atonement 2 (unh, er, 6) You’ll see! Yesterday I posted the link to Dom’s 5 article in his series on “universal atonement” – today is the second post – part 6. Hope that isn’t too confusing. I will make my pitch once again however for better language. 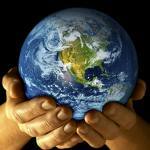 The atonement is NOT universal in that sense that ALL are saved. None who fail to believe will be saved. And there is NO atonement for the fallen angels. Nor is it unlimited in the sense that all sins are already forgiven. It is unlimited in its capacity to save all should all believe, nor is there any sin which it is insufficient to meet. And, it is universal in that there is no human being to whom the genuine offer of salvation cannot (or should not) be made. That said…In this part, Dominic rightly gets to the heart of 3 very important matters in this entire discussion, which I have been talking about since the first posting of my own atonement musings. 1. Eternal justification is a virtually inescapable conclusion to arrive at, if one holds to the popularized version of “limited atonement”. 2. We cannot let our theological rationalizations operate in such a way that for all intents and purposes, justification by faith – becomes little more than a cliche, and not an actual necessity in salvation. Because the atonement is the means whereby unbelief is forgiven, does not mean that one (even of the elect) has already crossed over from unbelief to saving faith at the time/space history point of Jesus’ death on the Cross. Scripture never separates faith and justification. 3. The accomplishment of the atonement at Calvary does not automatically bestow faith upon the elect at that moment. We absolutely must make proper room for the Holy Spirit to work the grace of regeneration in the heart of the person through the ordinary means of the preaching of the Gospel. We cannot simply make the sovereign work of the Holy Spirit unnecessary. To fail to deal with each of these in their order and importance is to create an artificial plan of salvation which does not square with the whole of the Scriptural counsel on the matte. It creates a scheme out of some genuine aspects, but omits several others resulting in a skewed view. 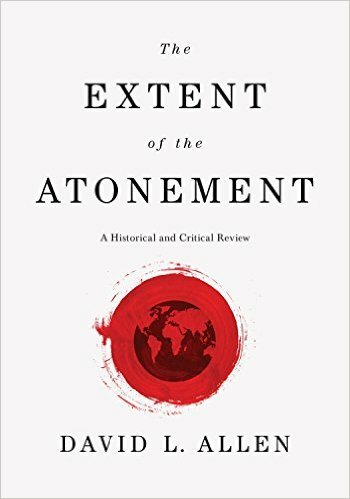 Dominic Bnonn Tennant on “universal” atonement. As I’ve stated many times before and in other places, I do not think of myself as a 4-Point Calvinist (though I’ve since stopped thinking that’s necessarily a bad thing) but prefer to describe myself as a 6-pointer: That there is both a particular aspect to the atonement (in God’s intent regarding the elect) and a universal or unlimited aspect in the genuine offer of the atonement’s benefits to all in the preaching of the Gospel, God’s desire for all men to be saved, and some of the benefits of the atonement which do impact all of mankind. OK – all of my (probably unnecessary) qualifications aside – Dominic Bnonn Tennant’s latest post on Universal Atonement is truly superb reading. Clear, concise, Biblical, rational and I believe – correct. Check it our for yourself.